How to check on energy consumption of HVAC System? higher efficiency of any HVAC machine. 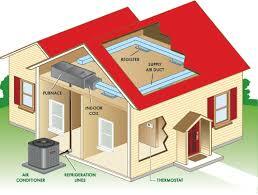 consumption by HVAC system to give desired comfort cooling. AFUE rating means 80 % efficiency and 20 % fuel wastage.